Clean and convenient . Helpful staff were accomodating. Felt like home. 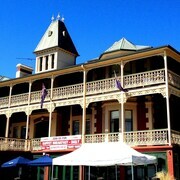 Staff were great and gave us a great deal on staying a second night. Above and beyond I requested an early check in and they were very accommodating and went out of their way to make sure that the room was available. Very helpful staff, reasonable price, close to ammenities. The manager is Rinch is a nasty terrible person I had an issue and the manager was most unhelpful, nasty, and does not know what customer service is if it hit him in the face. Very clean. Carol makes you feel so comfortable Great only thing is about the heater....would have loved a stronger one. Other than this everything was great. Sick of KPIs, ROIs and listening to Brian from accounting harp on about his weekend plans? 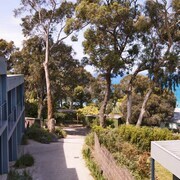 Ditch work for a getaway in Lorne — and don't even consider roughing it for a second. 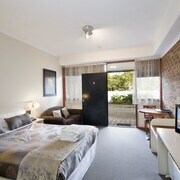 lastminute.com.au has 19 incredible hotels within 5 kilometres of the centre that'll keep your budget on track (and you well away from Brian). 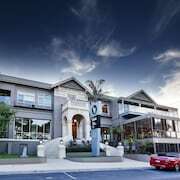 Alleviate your FOMO — stay near the hustle and bustle at the Allenvale and the Cumberland Lorne Resort. The Mantra Lorne and the Lorne Bay View Motel also have some excellent facilities. If you fancy spending time admiring some remarkable views, then Teddy's Lookout is most definitely worth seeing. Lorne Coachman Inn and Grand Pacific Hotel and Apartments are two good options if you and the squad are keen to stay nearby. If you're keen to work on your fitness, Lorne Sea Baths is the place to be. 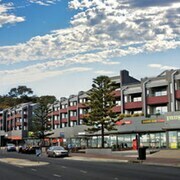 If you'd rather hang out near this attraction, have a squiz at the PierView Apartments and Chatby Lane Lorne. Unfortunately, there are just a limited number of economical accommodations for money-savvy travellers. 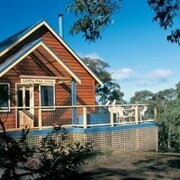 Of these, Lorne Foreshore Caravan Park is up there with the best. 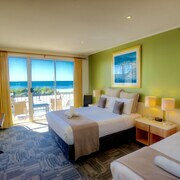 You might also like to try the Chris's Beacon Point Villas or the Great Ocean Road Resort. 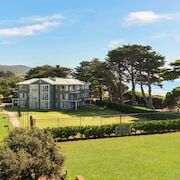 The Chris's Beacon Point Villas is 30 kilometres away from central Lorne, and the Great Ocean Road Resort is 25 kilometres away. Others are the Bellbrae Country Club Surf Coast, 30 kilometres away, and the Freshwater Creek Cottages and Farm Stay, 35 kilometres away. After more options? Live it up like a rockstar in Wongarra (just try not to wreck the joint). Located 25 kilometres away and home to Kennet River Koala Walk and Skenes Creek Beachfront Park, it's bound to be a journey to remember! 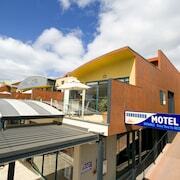 If you want to visit Wongarra, consider the Whitecrest Great Ocean Road Resort and Points South By The Sea. Or, you could consider staying in Skenes Creek, 30 kilometres to the southwest of Lorne, where you can choose from the Captains At The Bay and The Apollo Apartments. The Old Cable Station Museum and Apollo Bay Harbour are just some of the most popular places to check out in Skenes Creek. Sweet as! All you've gotta do now is stick on your out-of-office and split. 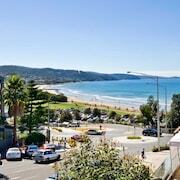 After all, you've worked hard for this lastminute.com.au break to Lorne, right?